it has been so HOT here in the northeast the past few days. like, crazy hot. it is supposed to be 100° in the city today. it is just completely GROSS out. 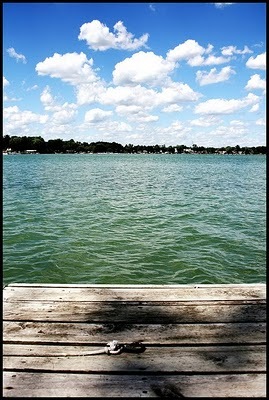 i wish i could teleport myself back to the lake i grew up on. sure, it would be nice to see my family and friends and eat at my favorite places, but really, i just want to slip in to that cool water and relax.